With all that is involved in the day-to-day operation of your restaurant, you should not have to worry that your insurance program is keeping up with your needs. 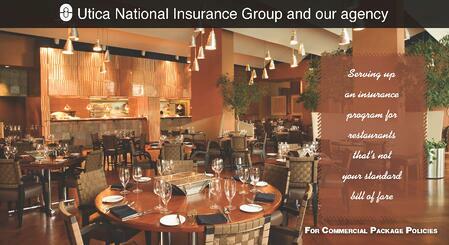 If you are looking for options for Restaurant Insurance in Massachusetts you don't need to look any further. Even if your operation does not fit within these parameters, we may have other programs for you! Find out more about how the right insurance program will keep your operation in good running shape. Call Chris Millerick direct at 857-816-4935, or fill out this form below and we will get right back to you!